We place our agencies in tiers using a combination of metrics, looking at monthly recurring revenue (MRR) acquired and managed, retention, software engagement, and actual inbound marketing success. To qualify for tiers, your agency must have a valid Agency Partner Certification and a median app usage above 3 across your accounts. 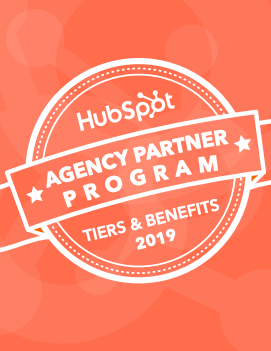 Once those criteria are met, tiers are determined by the amount of clients you have brought to HubSpot, and the number of HubSpot clients your agency has managed over time. MRR thresholds below are reflective of the November 15, 2017 tiering updates. Check out the 2019 Tiers and Benefits Guide for all the details. Looking for a Partner? All of HubSpot's partners can be found on the Agency Directory. Start growing your agency with the total inbound marketing solution. Contact a HubSpot Partner Specialist by filling out the form below.